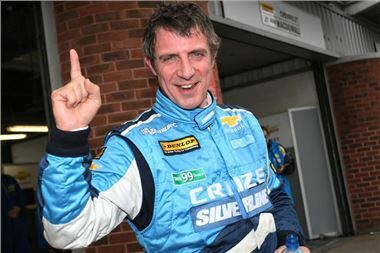 It won the BTCC Driver’s Championship in its first full season, and now the Chevrolet Cruze is set to officially return to the Dunlop MSA British Touring Car Championship, with 2010 champion Jason Plato again as lead driver. Supporting Plato in the Silverline Chevrolet BTCC team will be Alex MacDowall, at only 20 years of age the youngest confirmed driver in the series. Both drivers campaigned with Silverline Chevrolet in 2010, with the team once again run by the Wellingborough-based RML Group, which also prepares and campaigns Chevrolet’s World Touring Car Team. The BTCC cars for 2011 will be similar to the 2010 WTCC championship-winning Cruzes campaigned by Yvan Muller, Alain Menu and British racer Rob Huff, which stormed the global series to take both drivers and manufacturers’ titles. A new livery, based on that of the WTCC cars, will be unveiled on March 24 at the BTCC Media Preview Day. Chevrolet UK Managing Director, Mark Terry, commented: “In 2011, Chevrolet celebrates its centenary year, and right from the start, racing has been part of the brand’s DNA. Having won the driver’s championship in our first full year – a truly remarkable achievement – we’re back for more in 2011. For 2011, the BTCC gets extra TV footage courtesy of ITV Sport, which will be broadcasting live from all 10 rounds of the series on ITV4 and ITV4 HD, its new High Definition channel. It will be showing highlights programmes on its ITV1 and ITV4 stations, as well as online via ITV Player. The first round of the Series takes place on Sunday April 3 at Brands Hatch, Kent – the venue of Jason Plato’s 2010 title victory, with TV footage from 10.30am. Ticket prices are £25 for adults, with free tickets for children under the age of 12. Meanwhile, the new Silverline Chevrolet racing livery, and a full list of partners, will be announced at the BTCC Media Day on March 24th.